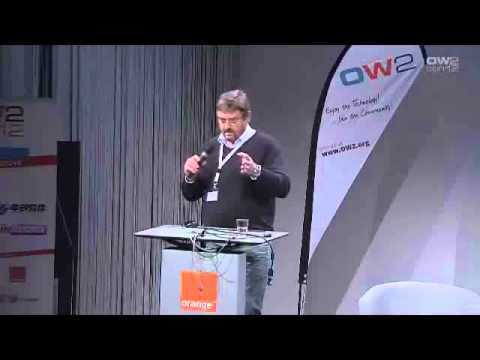 XLcloud is presented at the OW2con'12 conference, in the "Open Cloud" conference track. The XLcloud project proposes a cutting-edge high performance cloud computing environment that enables low-latency remote rendering of 3D and complex 2D applications such as online gaming, cultural artifacts visualization and virtual body inspection in the cloud. Many people refer to cloud computing as managing virtual machines that run on top of an hypervisor. However, in certain circumstances, using virtualization is not desirable when applications have stringent performance requirements or need access to devices that are not supported by hypervisors like GPUs for example. However, it is still very convenient to utilize the features of a IaaS cloud such as instance management and image management for use cases that require the automated provisioning of a collection of cloud resources. As such, the main paradigm of XLcloud is based upon the ability to instantiate purpose-built virtual cluster instances that feature a collection of connected physical and virtual resources to support high-performance / low-latency video encoding and interactivity streaming artifacts. The presentation of XLcloud provides a description of the Remote Rendering Virtual Cluster architecture with a particular emphasis on server components that are designed to enable a highly pervasive environment allowing end-users to run their 3D applications anywhere on any device. In addition, we describe a low computational method to perform ROI-based (Region Of Interest) video encoding and adaptive streaming as well as a multi-modal representation of the images and videos (i.e. pixel vs graphics) to reduce the bit rate requirements. Finally, we conclude with a short description of a partitioning algorithm and some implementation details.